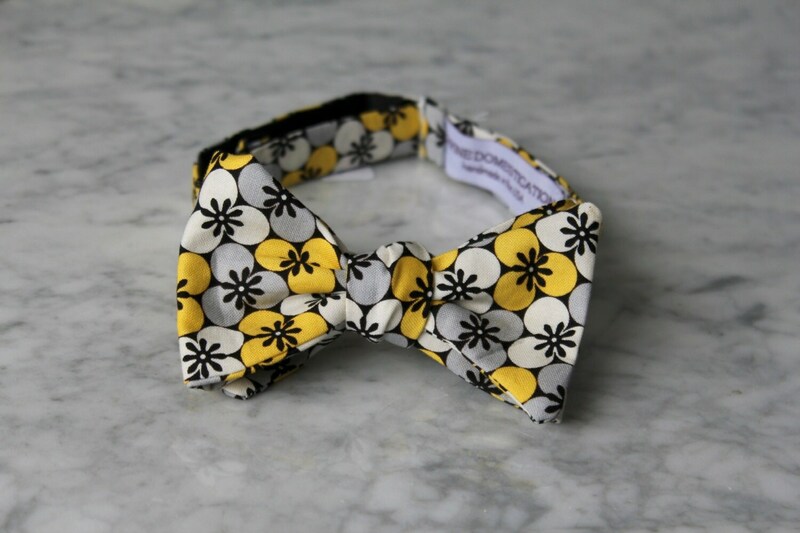 Make a statement when you enter the room with this bow tie! 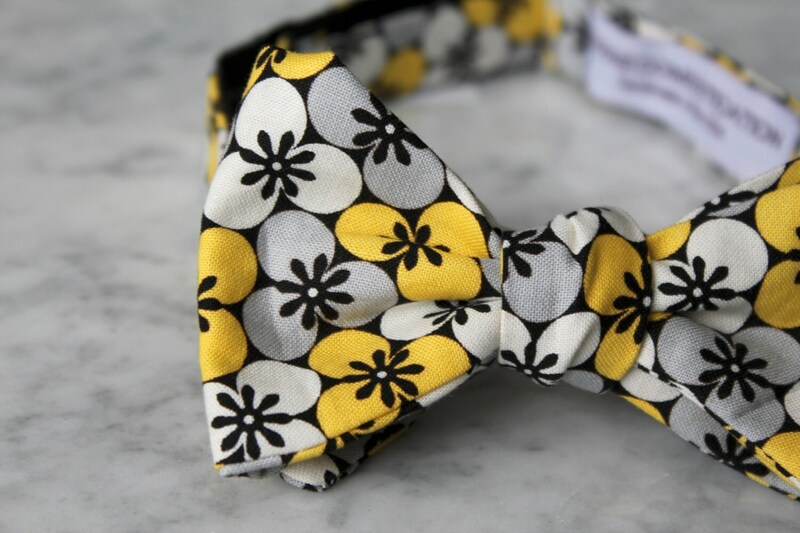 Beautiful Black, gray and yellow flowers in a dot pattern make a classy tie. 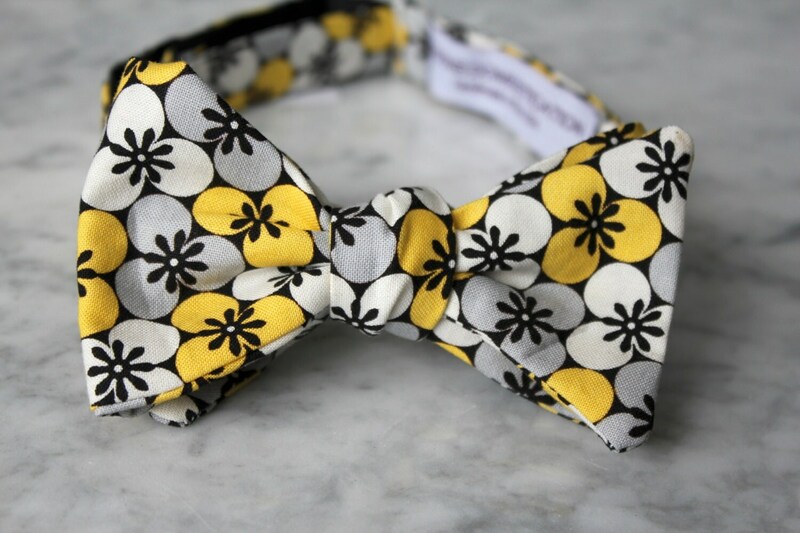 Stylish bow tie for a true gentleman. Available in different styles to fit any budget.